That poor kid needs a good dermatologist. That poor kid needs a good whoopin’ for having arse on his head. 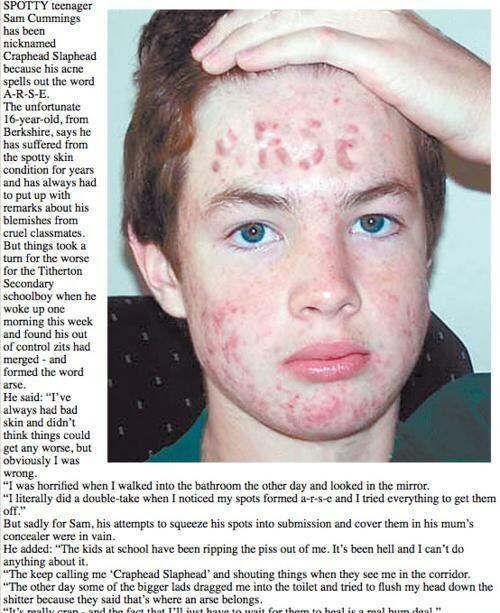 I suspect that if it is even real he did this himself, maybe applying something to spell out the word that agrivated his skin to cause the reaction.